San Clemente has always held a special place in my heart. 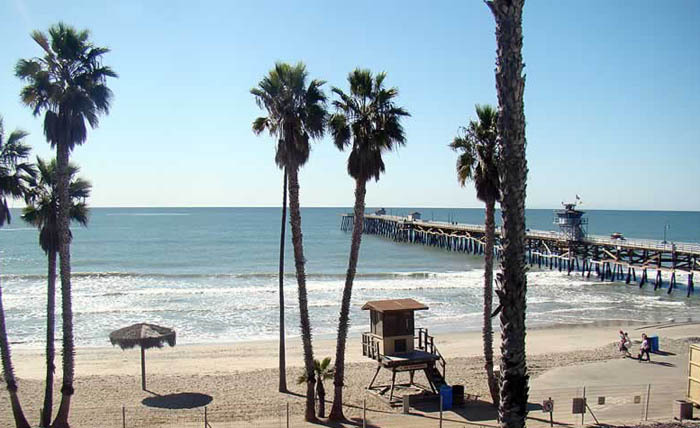 This relatively small beach town is the southernmost Orange County coastal community, and has miraculously maintained its small-town charm, which makes it so warm and friendly. You really get a feel for that as you enjoy the quaint shops and restaurants on Del Mar Avenue, which is San Clemente’s “Main Street”. I love to take walks along the pier and enjoy the beautiful views like Dana Point which is just north of there. I make it a point to stop by Fisherman’s Restaurant to enjoy a sandwich and a coke, or get a sunset view table for dinner. It sits right on the pier, and is a well-known favorite of locals and tourists alike. I’m thrilled that they have renovated and reopened the Casino, which sits next to historic “Ole Hansen” and is being used for public and private events. This was once a beautiful ballroom back in the thirties, and was frequented by Hollywood celebrities such as Judy Garland and Frank Sinatra. You can just imagine the thrill of rubbing shoulders with them! One of my favorite things to do there is enjoy a hike on one of many of the trails there. The weather is almost always pleasant, and there is a view of the ocean from almost every trail. Some of them take you just inland a couple of miles where you can take in the shops and restaurants in the newly-developed community of Talega. The homes there are Spanish and Mediterranean and some of them sit along the golf course, which was designed by Fred Couples and is a very popular spot for avid golfers who travel great lengths just to play there, and the clubhouse has a wonderful Sunday Brunch too!